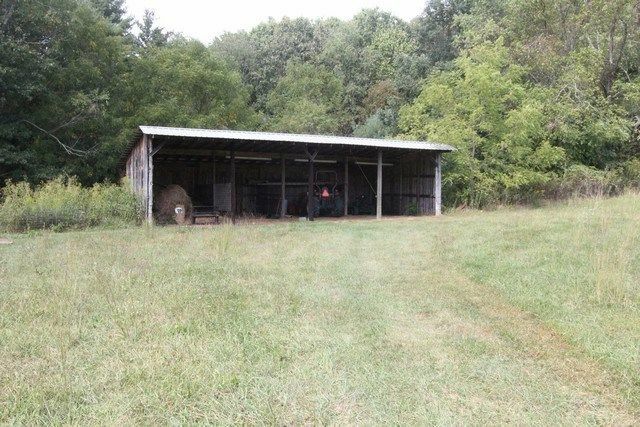 Upon approaching this small farm, you immediately notice the rustic hewn- log sidings and the sprawling acres of pasture. 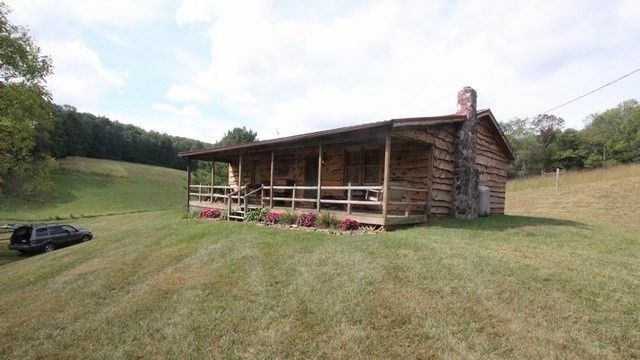 This single-story log cabin is in southwest Virginia and immediately ticks a few of the right boxes: a rustic retreat in acres of private land. 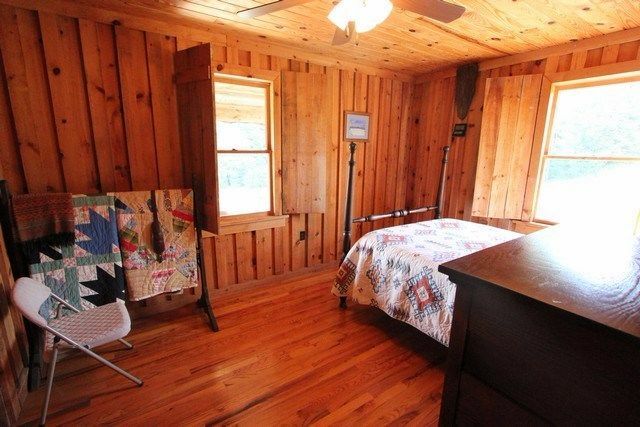 The cabin is presented by United Country Real Estate, offering two bedrooms and one bathroom more than 960 square feet (89.2 square meters). 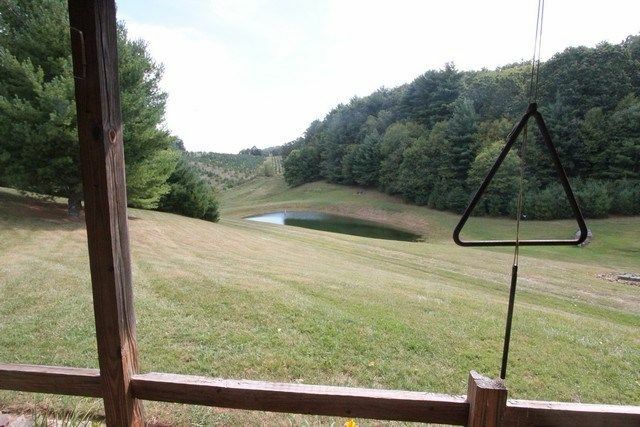 It sits on just less than 90 acres of gorgeous wilderness, where one finds picturesque horse trails through woodlands featuring deer, turkey and maybe even a black bear. 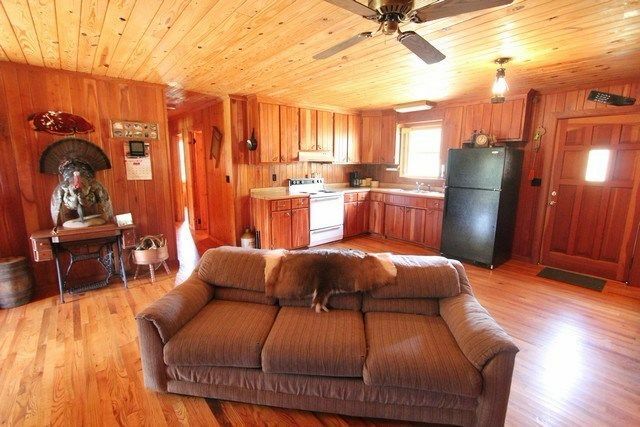 The generous floor plan hosts a large open living space that is rugged yet comfortable. 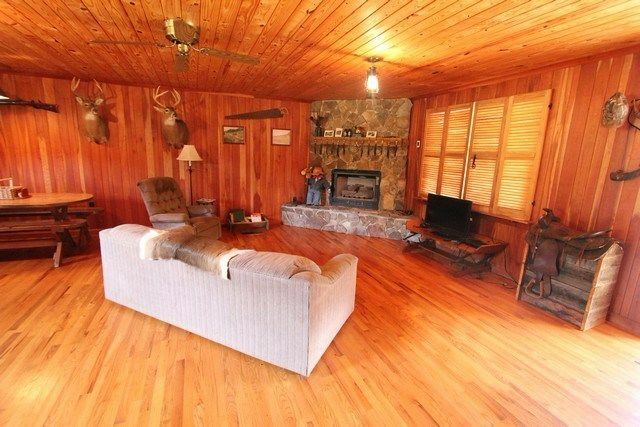 The cabin features hardwood floors throughout. Comfy sofas surround a warming gas fire. The use of wood paneling on the walls and ceiling makes this a cozy space in the evening. The other side of the room has an ample-sized kitchen and a spacious dining area. The kitchen offers plenty of counter space to prepare a meal. The hallway leads to the bedrooms. 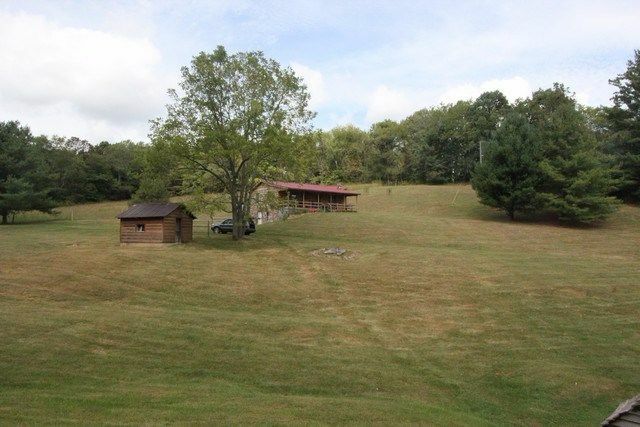 The house has two bedrooms that are afforded plenty of space in the large floor plan. 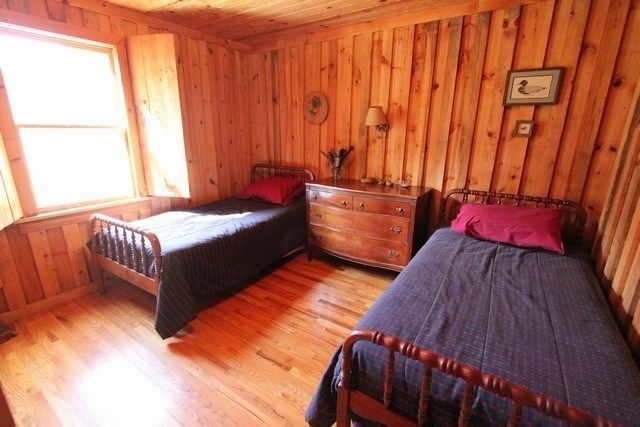 The master bedroom has a tasteful wrought-iron bed, whereas the second easily houses two guests. 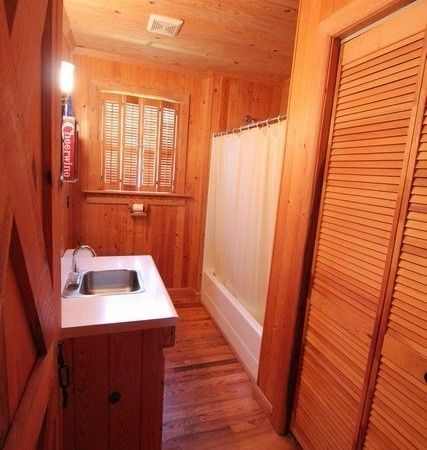 The bathroom is a fresh, clean space. The ever-present wood finish throughout the house has the mark of quality craftsmanship. 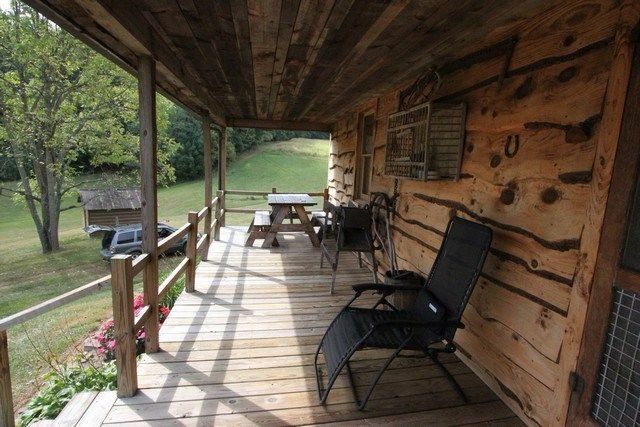 Back outside, the wide porch is a perfect space to while away the quiet hours. It has a number of seating options, whatever your mood. 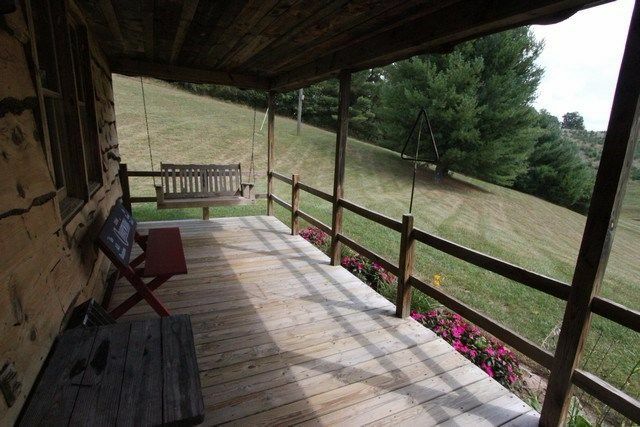 The porch overlooks a spring-fed pond. 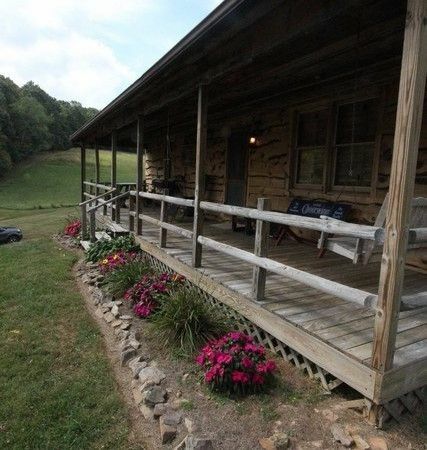 The house sits atop a hill, giving the front porch the best seat in the house. 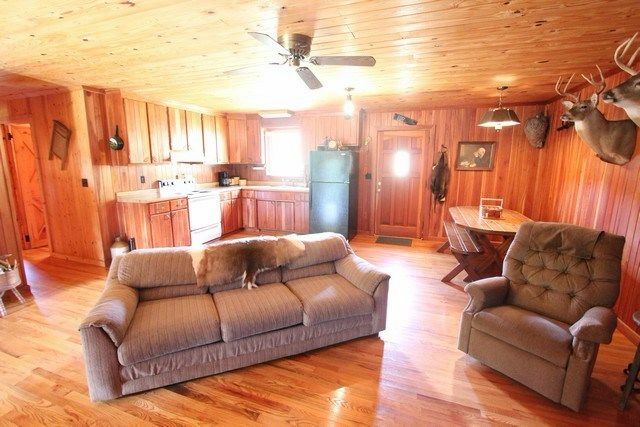 The cabin also includes a barn. 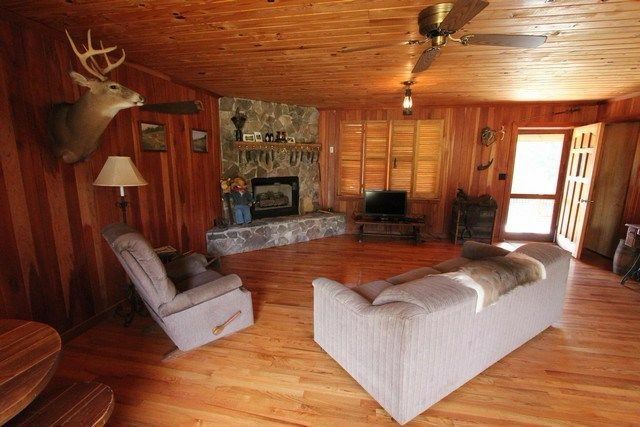 This cozy home has plenty to offer the right person.